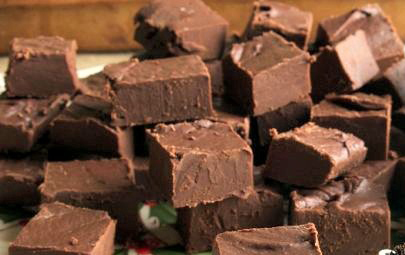 Joe’s mom makes some INCREDIBLE fudge. She was kind enough to give me her recipe! Here it is! In a medium saucepan, combine marshmallow cream, sugar, evaporated milk, butter or margarine and salt. Bring to a full boil, stirring constantly over moderate heat. Boil 5 minutes, stirring constantly. 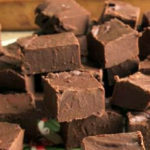 Remove from heat, add morsels, stir until melted and mixture is smooth. Stir in nuts and vanilla. Pour in aluminum foil lined 8” square pan. Cill. Makes about 2-1/4 lbs.